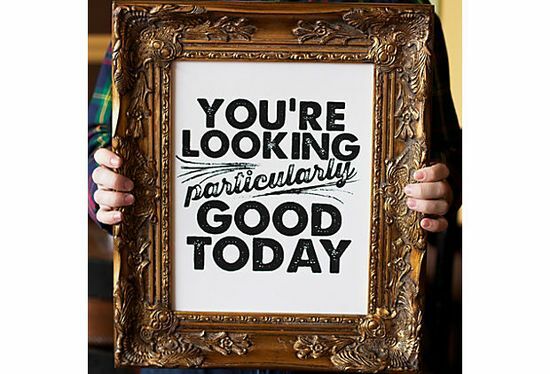 I love the print and the sale for it is closed on OKL but you can still find it and other great works by the artists on Etsy: I Screen You Screen by Kyle & Courtney Harmon. Also, after checking out their website, it looks like they’ll have a sale on Fab.com soon, so I’ll be watching for it! Now let’s get to the GIVEAWAY! A total of 36 people entered a comment on facebook or on the blog post. 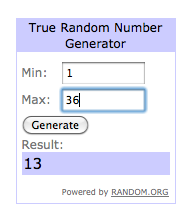 I used Random.org to draw our number and the result is a lucky number 13! Melissa at Raised by Wolfs! I’ll be sending her $100 to One Kings Lane! Congrats Melissa! Thanks again, neighbors for entering the giveaway and for reading along! Here’s to many more HUNDREDS! 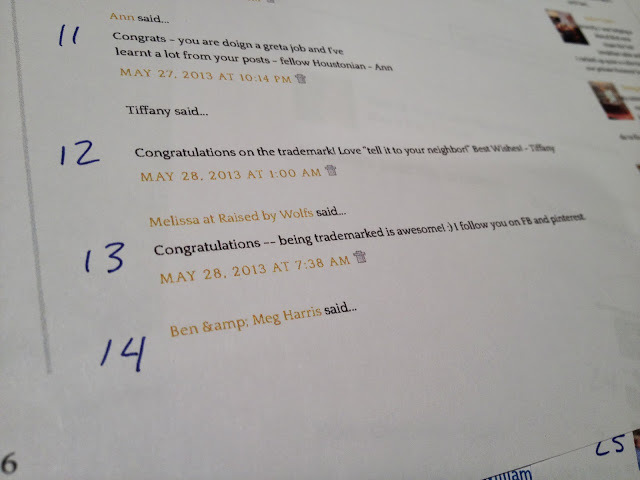 « One Hundred Posts Celebration and Giveaway!